The International Cricket Council (ICC) has today revealed the match dates for this summer’s ICC Women’s World Cup in England and Wales. The tournament will get underway on Saturday, 24 June with 28 matches being held over 21 days, and importantly four weekends of action meaning more opportunities for fans to attend. A round-robin between the world’s eight best teams will conclude in semi-finals at Bristol and Derby before the final at Lords on 23 July. The County Grounds in Bristol, Derby, Leicester and Taunton will host seven matches apiece, with hosts England playing at least one game at each of the four venues. 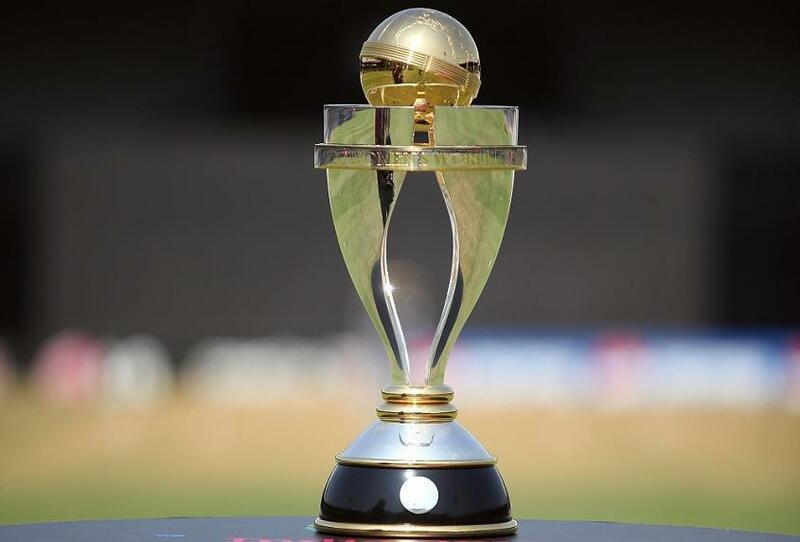 The complete match schedule will be confirmed on Wednesday 8 March, following the conclusion of the ICC Women’s World Cup Qualifiers in Colombo, Sri Lanka, this month, where teams will be fighting to secure the last four World Cup berths. 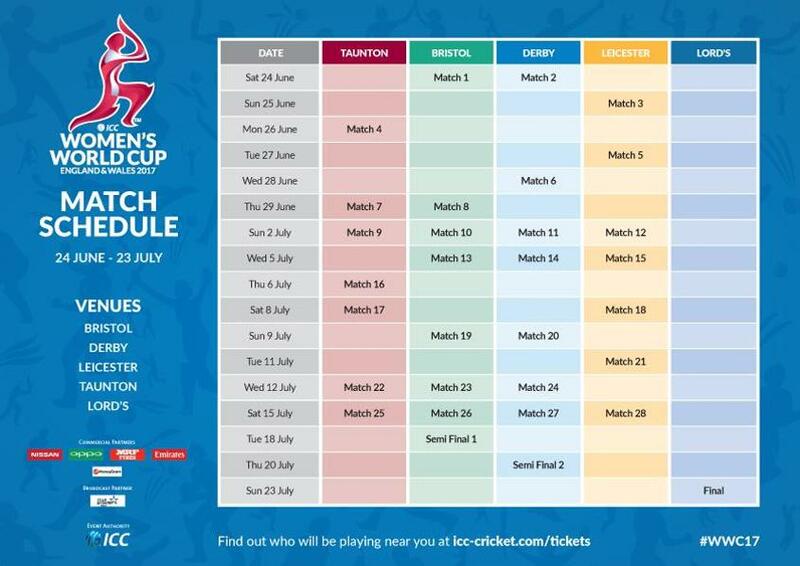 Group stage tickets will also go on sale via www.icc-cricket.com/tickets. Then the two semi-finals will be played at Bristol on 18 July and in Derby on 20 July. The showpiece final will be played at Lord’s on Sunday 23 July. Tickets are currently on sale via www.icc-cricket.com/tickets. So far, more than 8,000 tickets have been sold, a record sales figure for an ICC Women’s World Cup final. Australia, England, New Zealand and West Indies qualified automatically for the tournament from the ICC Women’s Championship. The qualifying tournament to determine the final four teams starts on Tuesday (Feb 7) in the Sri Lanka capital Colombo. 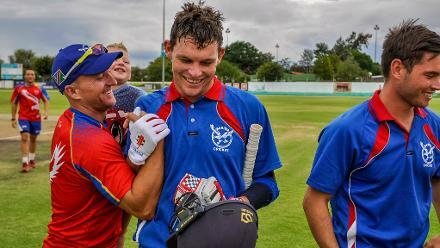 India, South Africa, Pakistan, Sri Lanka, Ireland, Zimbabwe, Thailand, Bangladesh, Scotland and Papua New Guinea will all battle it out to make it into the Super Six stage. The top four sides will then secure a place at the ICC Women’s World Cup 2017, with the top two facing off in the Final on Tuesday 21 February.